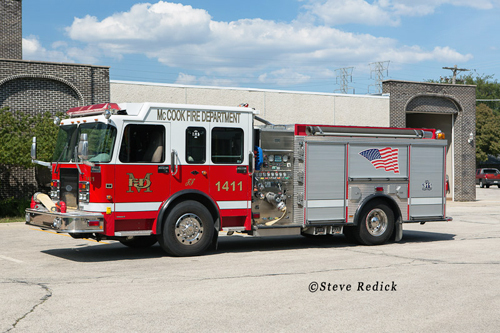 Steve Redick joined several other photographers recently taking pictures of south side CFD houses and several suburban departments. 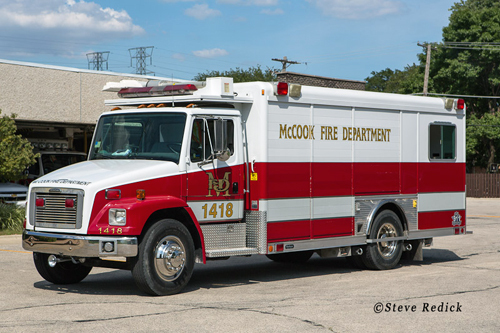 He has submitted images illustrating the McCook Fire Department. 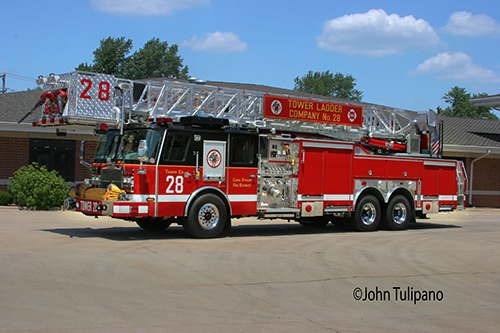 All part of the DuPage Fire Alliance numbering. 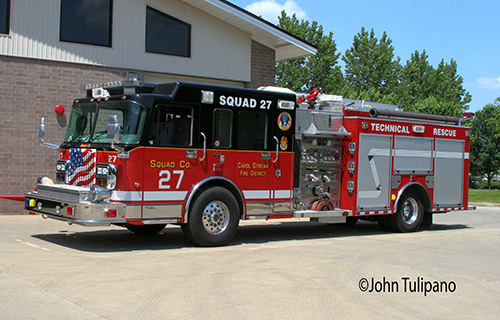 I have submitted shots Engine 29 and Tower Ladder 28, both of which are new rigs, plus shots of Squad 27 and 27a with the new numbers. 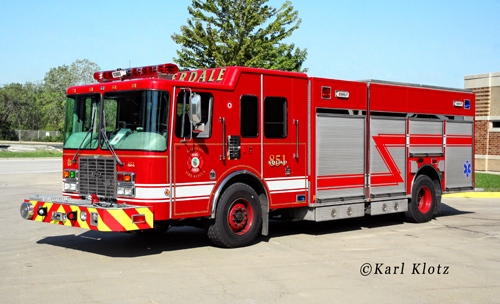 Here are 2 Riverdale rigs (MABAS 24). Chicago firefighters and paramedics on disability leave would have to submit to more frequent medical check-ups to determine if they could go back to work under new rules proposed by Mayor Rahm Emanuel Tuesday. Emanuel’s action comes two weeks after City Hall proposed a similar crackdown on police officers — all in reaction to a Chicago Sun-Times investigation. The investigation found that 347 cops and 390 fire personnel are collecting more than $45 million a year in disability pay from cash-strapped city pension funds, plus millions of dollars more in taxpayer-provided health insurance. 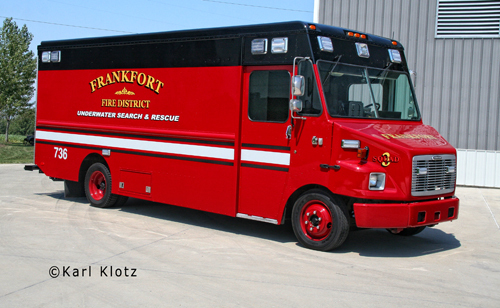 Thirty-five percent of the firefighters and paramedics on disability are paid more than $60,000 a year, tax-free. 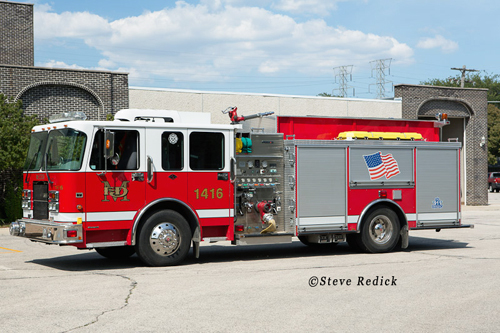 They include Battalion Chief Patrick Kehoe, who gets $91,113 a year and was on disability leave when he filmed a commercial for Emanuel’s mayoral campaign. Emanuel faces more of a challenge in trying to bring disabled firefighters back to work than he does with disabled cops. 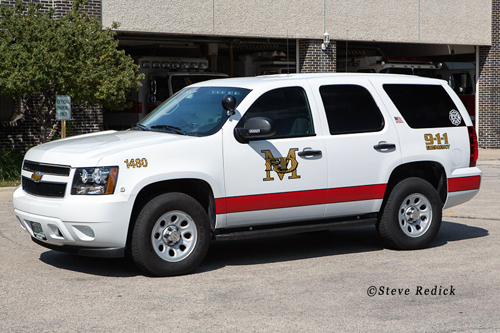 The police department has limited-duty desk jobs available for injured officers, but the fire department has no similar program.
? Firefighters, paramedics and police officers on disability would have to report their annual incomes, thereby revealing their income from other jobs. 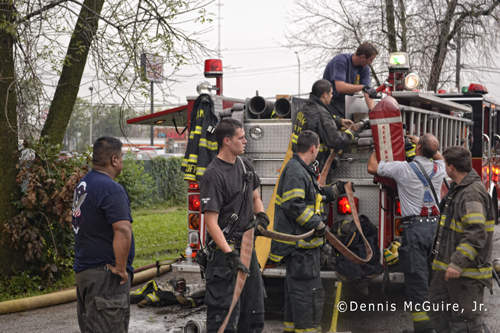 City officials say some disabled fire personnel and cops might be able to return to work if they’re already healthy enough to hold other jobs. 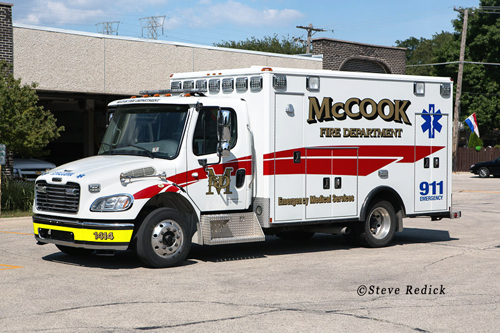 ?Fire personnel and police officers couldn’t apply for disability leave until they’re examined by their departments’ medical staff to determine if the injured workers are capable of doing other jobs within their departments. 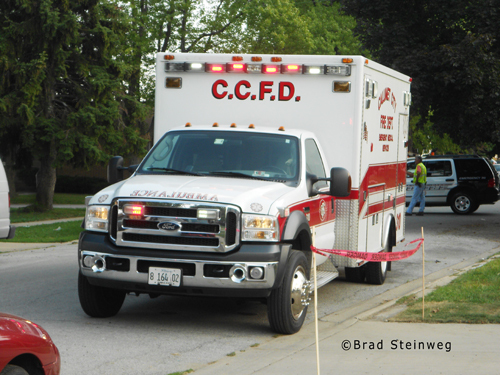 ?More frequent medical check-ups for firefighters on disability who are currently examined only every two years. Unless they’re permanently disabled, all firefighters on disability leave for fewer than five years would be examined every six months. Everyone else would be examined yearly. The Algonquin-Lake in the Hills Firefighters Association is building the memorial on the north end of Riverfront Park. 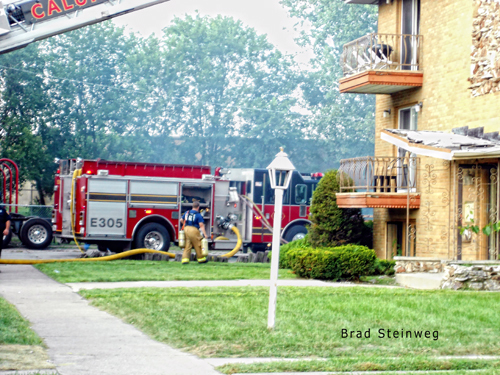 The location is particularly significant because the old firehouse used to be across the street until about eight years ago, firefighter/paramedic Dan Teson said. 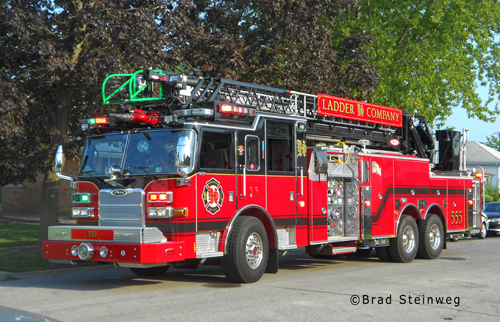 Construction started last week, right after agreements were approved by the village of Algonquin and the fire protection district, and is on track to be finished in time for a Sept. 11 dedication, Teson said. The memorial will consist of a brick paver circle 40 feet in diameter with the World Trade Center steel beam in the middle, and landscaping all around it, Teson said. 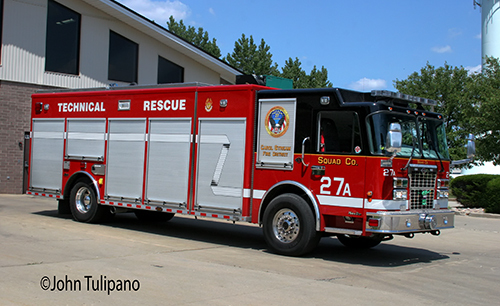 The firefighters association got the beam, which weighs more than 5,000 pounds, as a donation from The Port Authority of New York and New Jersey, Teson said. He and two other firefighters flew to New York City in November to accept the donation, and were met there by one of the firefighters’ father, who drove his truck, Teson said. The foursome picked up the beam at a hangar outside LaGuardia Airport, and father and son drove it back to Illinois. “It absolutely does have an effect on you, when you sit there and physically touch a piece of something that was a major part of our history, probably one of the worst days that we’ve ever had in the U.S. To be able to be part of something like that in a positive manner, and pay tribute to all the people who died that day, it’s very meaningful,” he said. 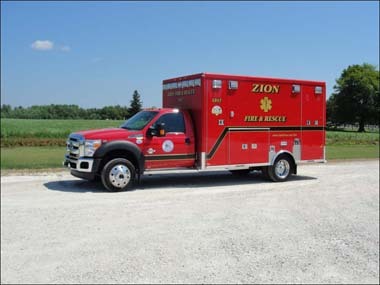 Beach Park and Zion both have new Type I ambulances from AEV. 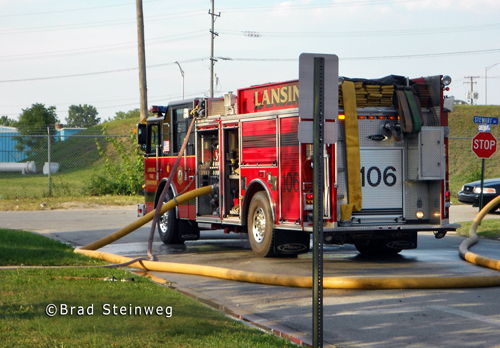 Larry Shapiro has an abundance of Firehouse, Fire Engineering, and Fire Apparatus magazines to dispose of. Before sending them to the recycling station, he wonders if any of our readers would be interested in rescuing them? If you’re interested, send an email to the webmaster and he’ll hook you up. 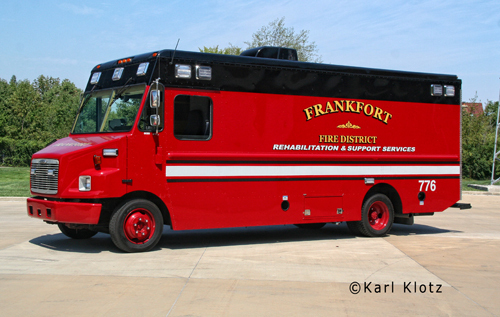 Frankfort FPD recently put into service an updated Rehab rig as well as a Dive Squad. 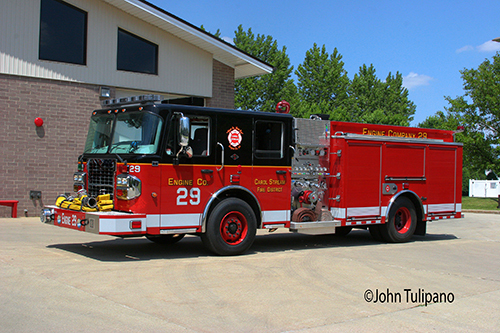 Both rigs were former Matco Tool trucks with 18′ bodies. 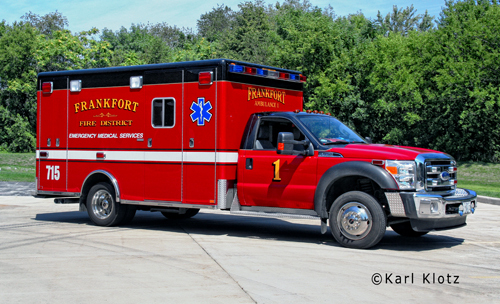 Also, there has been some shuffling of ambulances with the addition of Ambulance 1. 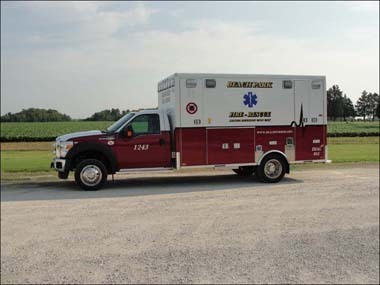 Ambulance 2’s rig is now running as Ambulance 4. 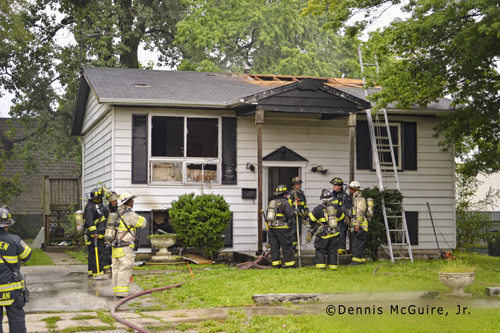 This from Dennis McGuire, Jr.
Dixmoor FD was toned out at approx. 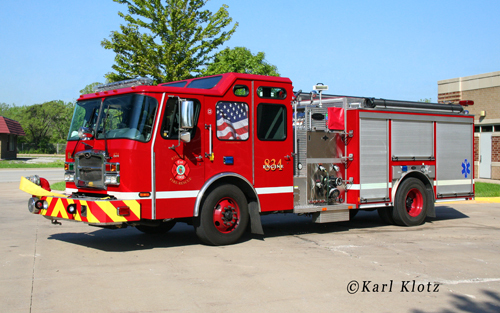 0810 hrs this morning for a structure fire at 2309 W. Joliet Road. 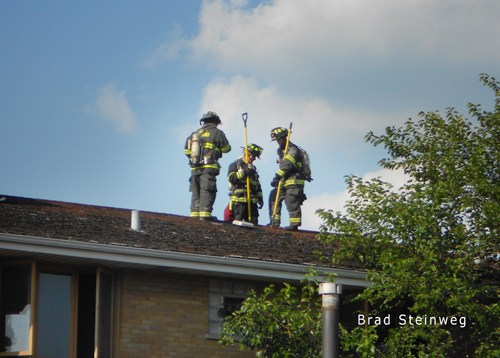 Police arrived and confirmed a working fire. 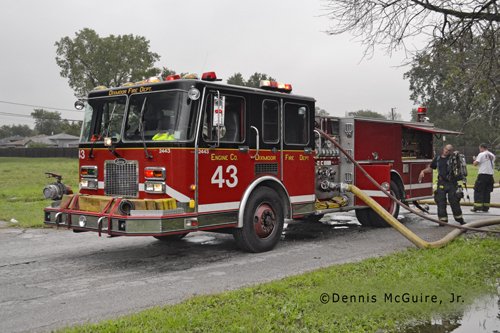 Engine 2443 pulled up, found fire in a 2 sty bi-Level home, and called for the Full Still on their Box# 2409. 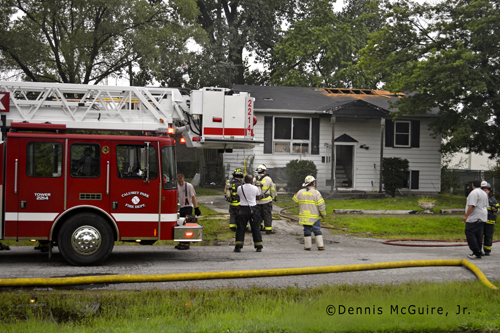 The home appeared to be vacant, but that was not confirmed. Searches were made and the crews found nobody. 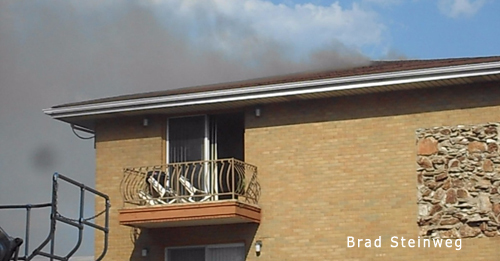 The main body of the fire was in the lower level of the home and was quickly put out. 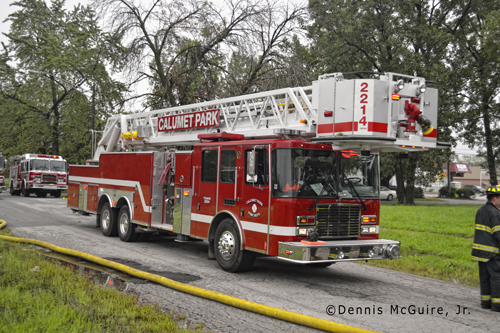 Area departments that assisted: Calumet Park, Phoenix, Posen, Oak Forest, Robbins, South Holland and Riverdale were all on scene along with Garden Homes FPD and Hazel Crest were on the change of quarters.